The new BMW M8 Competition gets an early start and surprisingly it leaks on the Internet with months before its official unveil. 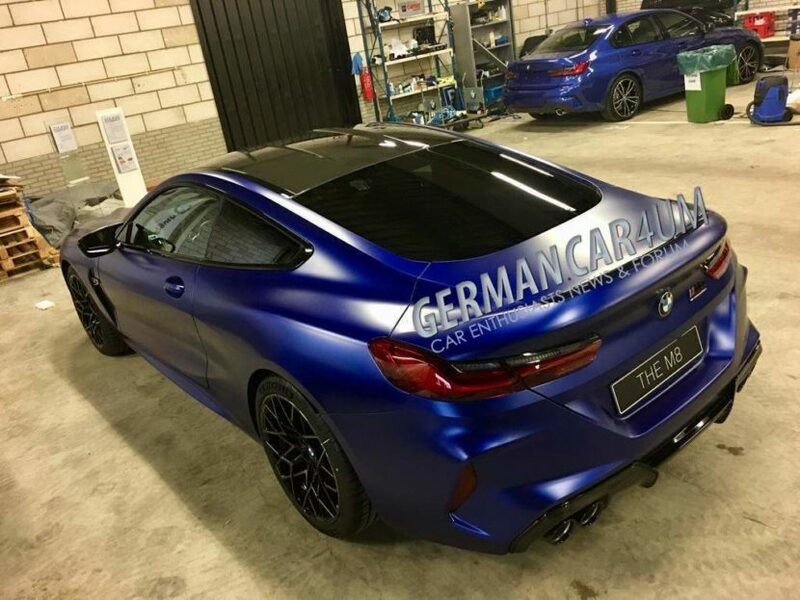 According to GermanCarForum, these are the first images of the BMW M8 Competition which, presumably, were taken during an internal presentation. Seeing the BMW M8 Competition completely undisguised gives us answers to many of the questions we had. 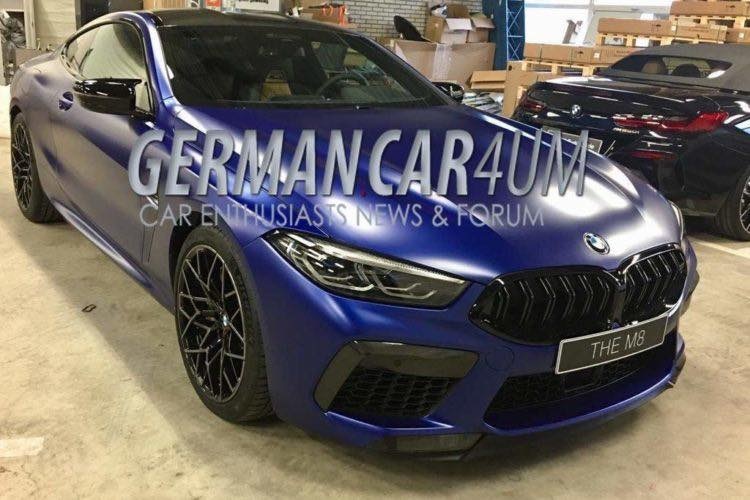 For starters, this confirms our previous reports – BMW M is indeed planning a model above the future M8 Coupe, one which takes the sportiness of the regular M8 to a new level. Recognizable on Competition models are always the additional black elements, as well as the BMW M8 Competition badges. Carbon fiber accents on the outer air inlets of the front bumper and on the diffuser add extra flair to the luxury coupe, with the carbon-fiber roof standard on all BMW M8 models. The M8 Competition model gets a more aggressive carbon fiber rear spoiler lip, which is offered optionally on the ordinary M8 optional. Black exterior mirrors, exclusive alloy wheels and four tailpipes complete the confident appearance of the BMW M8 Competition. According to sources, the BMW M8 Competition model will be available at the same time as the “ordinary” M8 Coupe and, of course, will get a bit more power in addition to a sharper suspension tuning. Since we already expect around 630 hp for the production M8, the BMW M8 Competition could even tear down the 650 hp mark. The leaked photos also gives a closer look at the interior of the BMW M8 Competition. The contoured sports seats has a unique design with a sophisticated pattern, balancing the luxury and the sportiness aspect of the car. We already know the red M1 and M2 buttons on the steering wheel from the F90 M5, but the red start button on the center console and the new M-selector lever for the ZF eight-speed automatic are a world premiere. We expect the new M8 and M8 Competition to be introduced in March at the 2019 Geneva Motor Show.